So you’re ready to start on your next home improvement project. 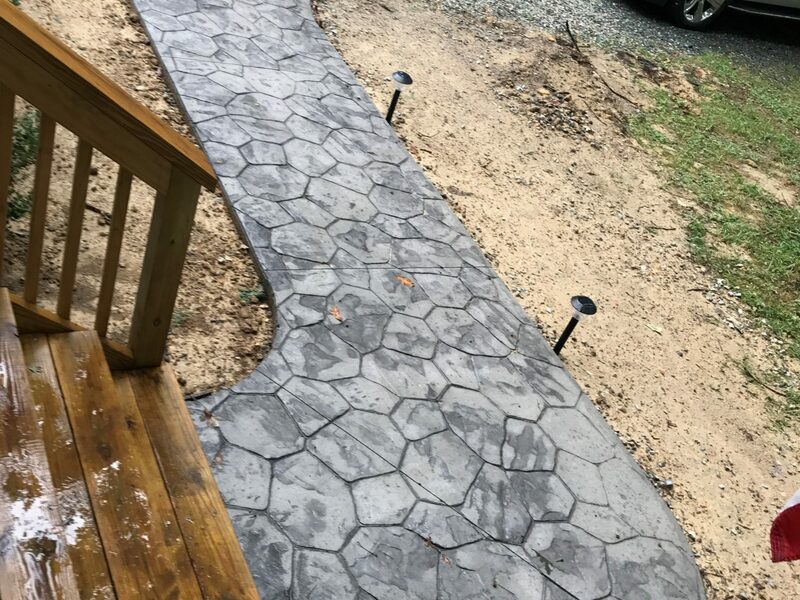 You’ve come to love the look of stamped concrete and want to add a charming new walkway around your house. The next step is hiring a decorative concrete contractor. Why should you consider hiring a contractor on something simple like a sidewalk? Usually, it’s not as simple as it initially seems. Good contractors will have time, expertise, and resources to create the beautiful results you’re hoping for. Here are a few things to look for when hiring a decorative concrete contractor, like Reynolds Contracting. Reputation. Word of mouth advertising remains one of the best ways to find good contractors. Forbes reports that “According to Nielsen, 92% of consumers believe recommendations from friends and family over all forms of advertising.” That’s why we share customer testimonials on our website. We have successfully completed countless concrete jobs around the Central Virginia area. Through these projects, we have gained the good reputation for our quality work. Read what people are saying about Reynolds Contracting on our Testimonials page! Ratings. Adding to what clients have to say, check a contractor’s ratings with the Better Business Bureau. We are proud to have an A+ rating with the Better Business Bureau here at Reynolds Contracting. We are also in good standing with Dun & Bradstreet. Locally, we are an Affiliate Member of the Charlottesville Area Association of Realtors. Our affiliations and credentials speak clearly to our business ethic and responsible project management. Cost. It’s usually a good idea to get more than one estimate when it comes to home improvement. When collecting your bids, make sure you look for quality materials and a timeline of how long the project will take to complete. And remember that the lowest bid might not save you money in the long run. Concrete repairs can be quite costly if the initial installation was not done properly. Experience. Reynolds Contracting employs concrete masons who have been in the business for decades. As mentioned above, working with concrete is not a simple task. Hiring a professional with experience with pouring, finishing, and stamping concrete will ensure you are satisfied with the final outcome. Especially with decorative concrete, you will enjoy the finished product much more if done well by a professional. Professionalism. With any home improvement project, professionalism is key. In the world of concrete, there are many different applications that require crews to come into your home. 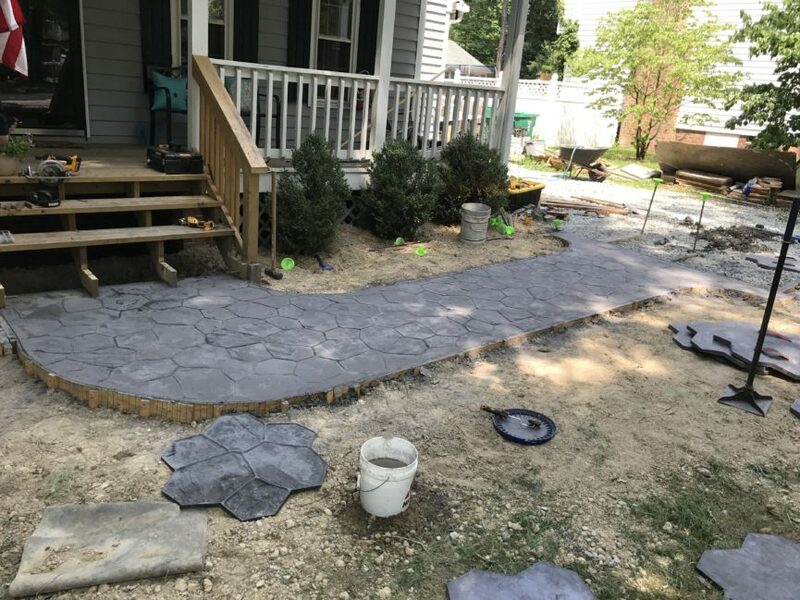 From giving your concrete basement floor an upgraded look to installing hardscaping outside, contractors will be in or around your home for varying lengths of time. Having professional contractors in your home will give you peace of mind and make it easier to work together for the duration of the project. Professionalism can include phone etiquette, easy to read estimates, how well the crew works together, or simply showing up on time. At Reynolds Contracting, we take great care in the hiring process to maintain a high level of professionalism – from the owners to laborers. Consider Reynolds Contracting when hiring a decorative concrete contractor. We stand on our good reputation, excellent ratings, affordable costs, decades of experience, and high standard of professionalism. Call us today at 434-293-6724 for your next concrete project!